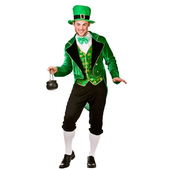 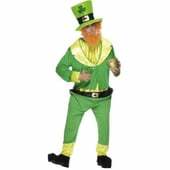 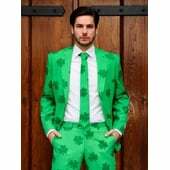 Size: XLarge: Chest size 44" - 46"
Adult Leprechaun Costume - Show your true Irish colours with this excellent green leprechaun adult costume. 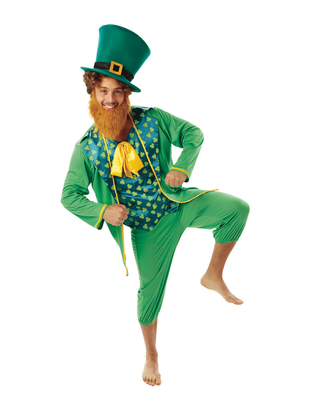 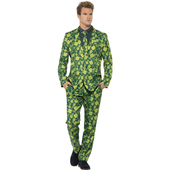 The costume includes green jacket with mock blue vest and green shamrock images with 3/4 length green trousers. 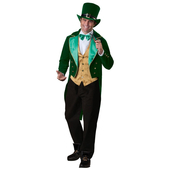 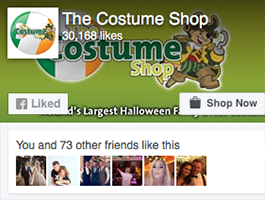 Costume also includes a green leprechaun tall hat with black belt image. 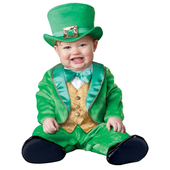 To complete the full Leprechaun look the hat has a ginger attached beard.